Donato “Dan” Iacobucci was born in Erie Pennsylvania on November 14th, 1924. He graduated from Strong Vincent High School in 1943. Dan, or Danny as everyone called him, enlisted (or maybe was drafted) on May 12th 1943. After his basic training, he shipped out to the ETO from Camp Miles Standish near Boston. He was a Heavy Machine Gunner, and later as a Staff Sergeant, he was a section leader and had two squads of the heavy M1917 Browning Machine Gun under him. He arrived in the UK in December 1943, and was assigned to D Company of the 47th Infantry Regiment in January 1944. “We got so close to the Germans at times, we could hear them talking to each other. It was almost all small arms fire and grenades then. I was just 19 years old, a kid, and scared to death. This was my first taste of combat. Most of the other guys in my outfit were seven or eight years older and had been through the Africa and Sicily campaigns. Some looked older than my dad. Then I remember seeing my first prisoner and saw that he was much younger than me. I remember thinking ‘now this is something else’”. “The guy came right up to the front line around one of the hedgerows and just asked how things were going. We got to talk to him a little bit before he went back again”. “We pulled back a little but we were still close enough to feel the ground shake under our feet when they bombed the place. The targets were up on that hill so they were easy to hit”. After the bombing the American Army advanced, meeting little resistance. Dan said the big German guns and fortifications had been destroyed and the German soldiers had fled into the port city. Masses of German defenders surrendered as Americans entered the town and Cherbourg was liberated on June 25th.The 9th Infantry Division had taken 18000 prisoners in less than a month of fighting. Included in these prisoners were Lieutenant General Karl Wilhelm von Schlieben and Rear Admiral Hennecke, senior enemy Army and Navy commanders of the Cherbourg area. With the port taken, there was little time to celebrate though. D Company fought its way through Normandy, the rest of France, Belgium and finally entered Germany in September 1944. Here the Regiment entered the 6 month long Battle of the Hurtgen Forest. Many small villages and forest parts had to be taken, and when taken, defended to hold the lines. 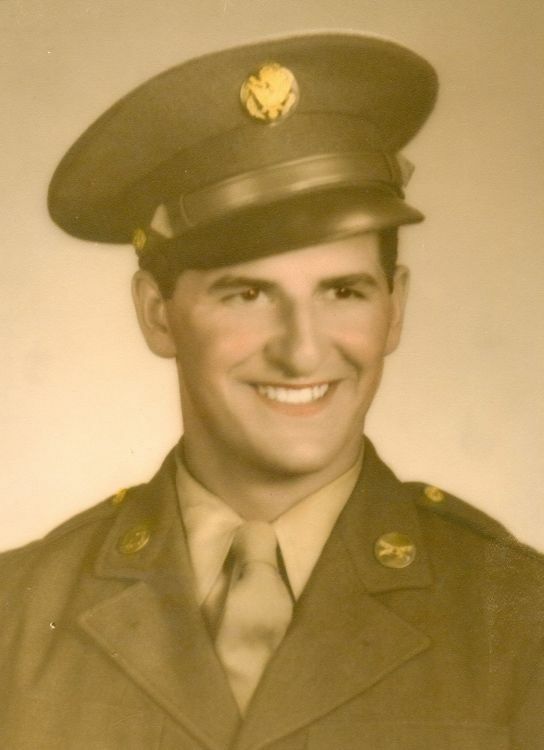 Dan was awarded the Bronze Star for his actions at Notscheid Germany on March 14, 1945. He was promoted to Corporal shortly afterward. 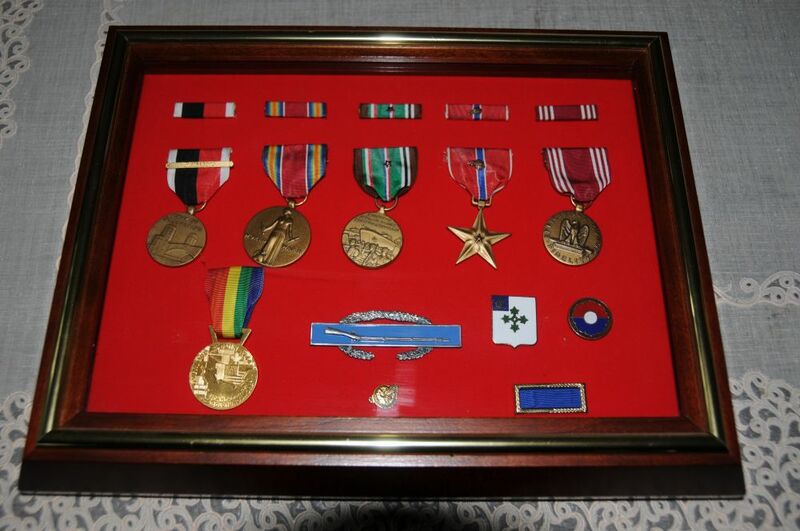 He was again promoted to Staff Sergeant in June 1945, and made a Section Leader. He mustered out of the Army on September 28th, 1945. Even though he was in the thick of many actions while attached to the three Rifle Companies of his Battalion, he was very lucky in that he was one of the few in his company who were never wounded. Dan returned to Erie Pennsylvania, and worked for American Sterlizer Company from 1950 to 1985. Once he returned from the war, he lived in Erie for the rest of his life and died of Cancer on May 8, 2005 at age 80.